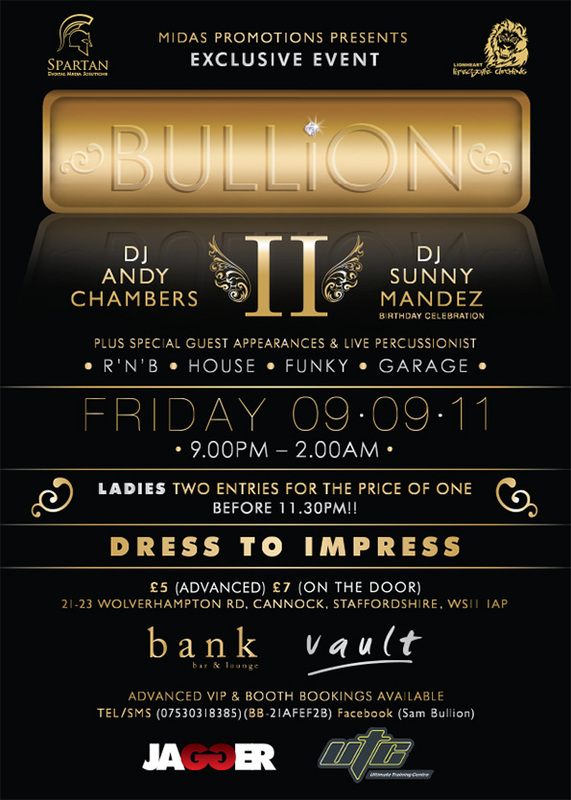 Bullion is a new Club Night in the West Midlands, providing a sophistocated drinks menu and relaxed atmosphere. 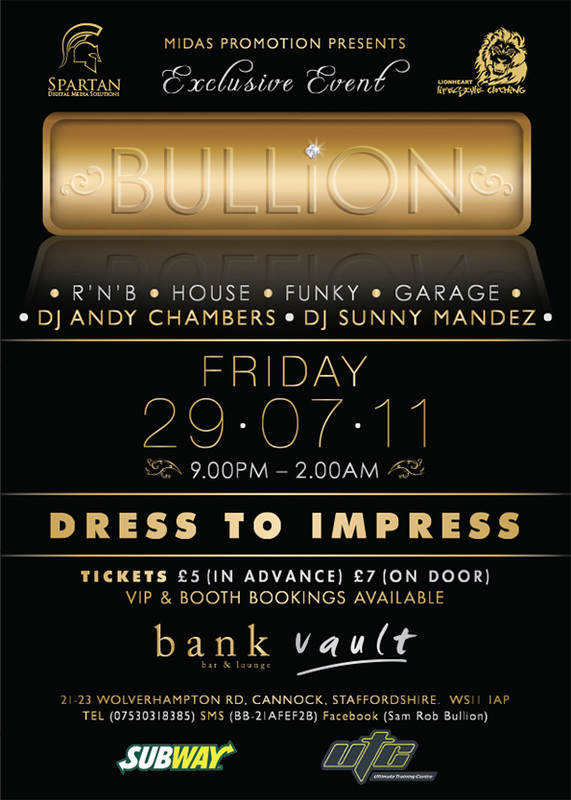 The logotype represents the idea of the Club Night's name 'Bullion' embossed in a gold bullion, giving an exclusive feel. 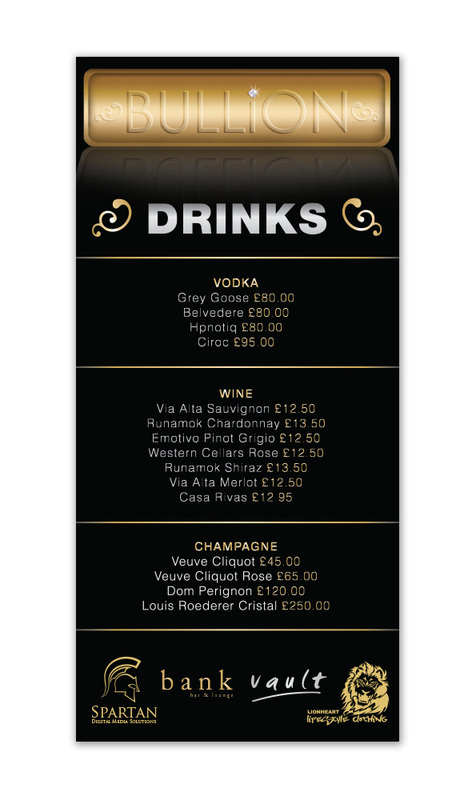 The printed materials compliment the branding with high contrast gold and silver on a rich black background.